Please follow the instructions step by step. 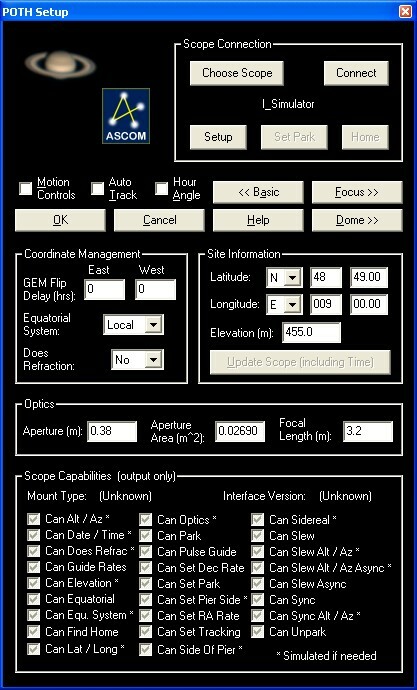 Install the driver for your telescope control system. 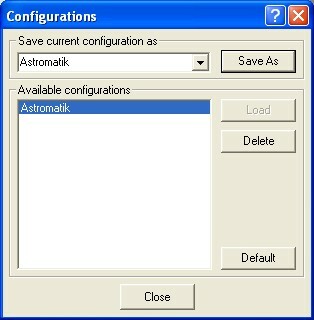 Install FocusMax 3.4.40 the version can be found here. Install Pinpoint and activate the licence. Install Maxim DL 6.00 PRO and activate the licence. Set the equatorial system to “Local”. Set does refraction to “No”. connect the POTH telescope and The POTH Focuser to Maxim DL. Check if the POTH telescope works, then synchronise to a know position. Check if the Goto works. Check if the main camera can do an exposure. Check if the filter wheel works. Check if the guider can do an exposure. 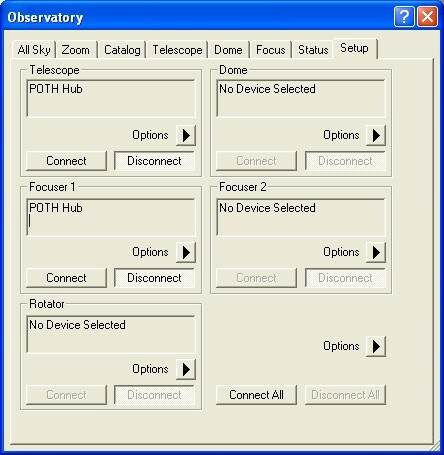 Set POTH as default for telescope and focuser. Do V curve for your setup. Check if the obtain V curve is reliable. Check if your FocusMax Setup is reliable. Check if Pinpoint in Maxim DL can solve a plate made with your setup. Check that the computed focal length is the same as you give in the POTH telescope. Check if guiding is reliable.